From delving into air raid shelters, to sifting through the archaic belongings of nurses – Rob Kemp’s job is certainly not a role you’d expect to find within the NHS. The dad-of-two, from Kingstanding, works as a Decommissioning Project Assistant at Sandwell and West Birmingham Hospitals NHS Trust to empty buildings which are no longer used at the organisation. It involves salvaging items which can be reused within the Trust, whilst recycling and donating other materials. Rob, who works with another colleague, explained: “I think the most memorable project to date had to be when we went into the air raid shelters at City Hospital. “There are two which were built we believe, in the early 1900s. After the Second World War they were used mainly for storage and some of the things we found there were astonishing. “There were old birthing registers dating back to the first half of the 1900s. “We want to preserve these sorts of important documents and so have given them to Sandwell and Birmingham Libraries for safe keeping. “We also found a document which showed a list of alcohol that was given to patients at Christmas,” added Rob. “There was wine and whisky on there. I was amazed at how hospitals used to order in alcohol for patients – obviously that wouldn’t be the case today. “It’s like having a mirror that looks straight into the past. Quite a high percentage of our job is about going into the old buildings that we have and there are some truly interesting finds. We want to make sure that nothing is left behind. Another recent project has been looking through the Sisters’ Home, at City Hospital. 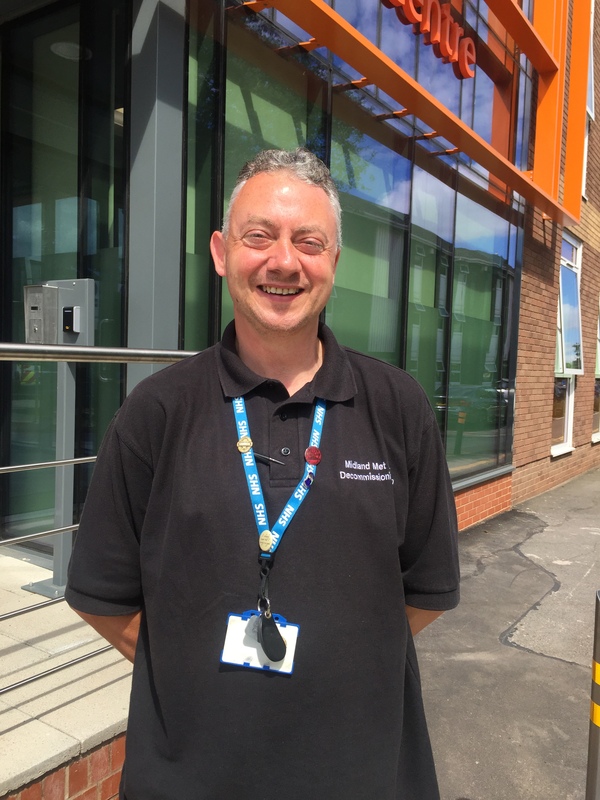 Before Rob joined SWBH, he worked as a bus driver – and would pass City Hospital every day, whilst he was behind the wheel of the number 82 and 87 buses. In his spare time dad-of-two Rob is a fully qualified FA coach for the team Premier United and he likes to escape from it all by holidaying with his family on the Lincolnshire coast where he has a caravan.